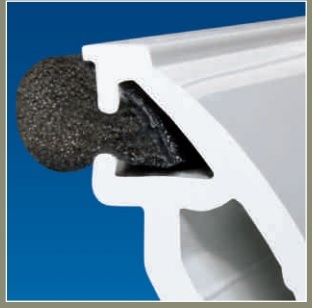 All Weatherglaze windows use the Q-Lon weatherseal gasket. This is a type of memory foam between the window and the frame. It has a 99% memory recovery and retains its shape year after year, which means the quality of the seal on your window is never compromised. The Q-Lon gasket also gives the best acoustic and thermal performance, resulting in a window which reduces noise pollution levels whilst providing exclusion from draughts.